Our products range also comprises in Conveyor Belt and many more to our clients. 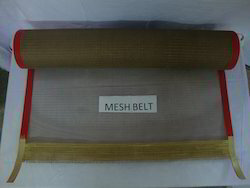 We manufactures of PTFE Glass Mesh Fabric Conveyor Belt in good quality With Kevlar reinforcement & Bullnose joint. This belt are used in different industries need high temperature resistance, anti corrosion such high performance plastic materials from textile, dyeing, printing, food drying, petroleum, steel, chemical, medicine industries etc, We supplying in all south Indians for with in one working day. 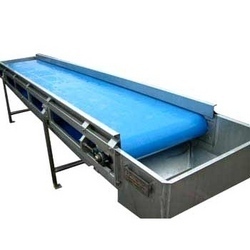 Our is the supreme quality range of Fusing Machine Conveyor Belt. These belts are widely used for a variety of apparel and industrial fusing as well as laminating applications. Our belts are tested for quality by our quality control supervisors in order to ensure that we deliver only the best quality products to our esteemed clients. These Fusing Machine Conveyor Belts are offered at industry leading rates. With the aid of modern machinery and ultra-modern technology, we have been able to manufacture Coated Mesh Fabric Conveyor Belts. 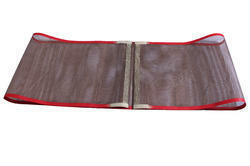 Our offered belts are developed in variegated designs and sizes to meet the diverse demands of clients. Moreover, we manufacture the entire range keeping in mind the industry set norms and guidelines. Release tape for protection of heat-sealing wires and jaws in shrink-wrapping operations. Release fabric and tape for blister pack packaging. Belts for cloth finishing calendaring and folding. Release fabric/tape for protective covering of dry can cylinders and drums. Process belts for thermal bonding of fusible interlinings. Shirt collars/suit linings/transfers. Release belts for sealing of the side and base of plastic wrapped packaging. 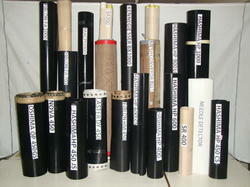 Release tape for vertical form fill seal machines and vacuum packaging. Belts for drying ink & solder on printed circuit boards. Release fabric for lining of baking trays/dough and meat. Process belts for frying/drying and curing of meats and comestibles. Process belts for freezing of meats/ice cream. Release fabrics for multi-daylight press and laminating machine. Release fabric for hot plate welding of plastics (UPVC, white goods & automotive). Release fabric for H.F.& I.R.Welding. Release fabric for polythene/PU extrusion coating. Release fabric/tape for welding of polythene bags/sacks. Process belts for curing of rubber extrusion. 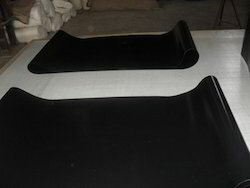 Release fabric for forming of rubber backed mats, bitumen and ceramic tiles. 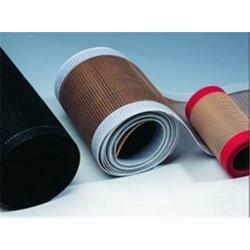 Release belts for curing of hot melt adhesives and adhesive tapes. Release fabric for curing of abrasive wheel discs. Owing to perfection and quality oriented approach, we have carved niche in the industry by offering an enormous grade array of Conveyor Belts. The offered range is manufactured using high grade raw material and advance technology by our skilled professionals. To ensure quality, these belts are stringently tested on various parameters. Clients can avail these belts from us in different specifications, as per their needs.